Century Properties Group is one of the leading real еstatе companies in the Philippines with a proven track record of delivering projects with innovative real еstatе concepts. Our company is primarily engaged in the development, marketing, and sale of mid- and high-rise condominiums, retail leasing and property management, and is in the process of diversifying into two allied real еstatе segments, such as leisure and tourism and horizontal economic housing, to further strengthen our portfolio. As of December 31, 2017, it has completed 18 residential condominium buildings, consisting of 10,890 units with a total gross floor area (GFA) of 795,849 sq.m. (with parking); a retail commercial building with 52,233 sq.m. of GFA (with parking); and a medical office building, comprised of 547 units and 74,103 sq.m. of GFA (with parking). This is in addition to the 19 buildings totaling 4,128 units and 548,262 sq.m. 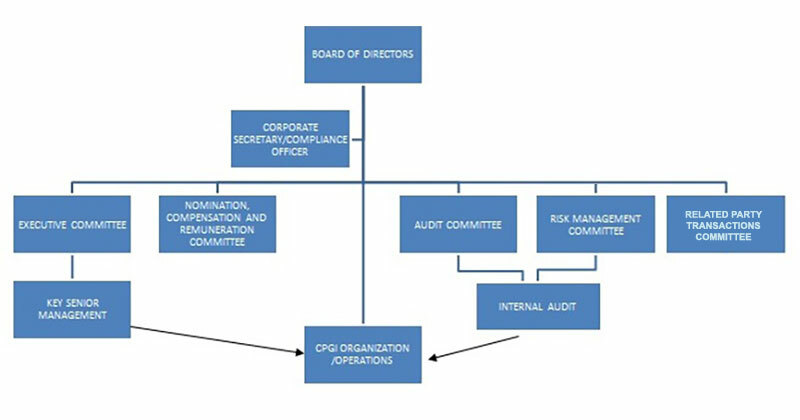 of GFA that were completed prior to 2010 by the founding principals’ prior development companies, the Meridien Group of Companies. The company’s roster of noteworthy developments include Trump Tower at Century City, awarded the Best Luxury Condominium Development of the Philippines at the 2018 Philippine Property Awards; The Residences at Commonwealth, winner of the Best Mid-Range Condominium award at the 2018 Philippines Property Awards; Acqua Private Residences, recipient of the Best Condominium Development Award in the 2016 Philippine Property Awards; the upcoming Century Spire, which received the Asia Pacific Property Awards for Best Mixed-use Development in the Philippines for 2015; and the Azure Urban Resort Residences, winner of the Best Condo Development Award in the Philippines at the Southeast Asia Property Awards 2014. The Gramercy Residences, the first Fully-serviced and Hyper-Amenitized residential building in the Philippines, and the award-winning Essensa East Forbes in Fort Bonifacio are also two of Century’s most stellar properties. In addition, the company has agreed to purchase 49% of the usage and leasehold rights of Asian Century Center, an office building in Bonifacio Global City. Asian Century Center is currently being developed by Asian Carmakers Corporation. The company’s land bank for future development consists of properties in Quezon City, Mandaluyong City, Pampanga, Novaliches, Palawan and Batangas that cover a site area of 219.29 hectares. The company, through subsidiary Century Properties Management, Inc. (CPMI), also engages in a wide range of property management services, from facilities management and auction services, to lease and secondary sales. Through CPMI, our company endeavors to ensure the properties it manages maintain and improve their asset value, and are safe and secure. CPMI currently manages 44 projects as of December 31, 2017 with 2.53 million square meters of gross floor area with parking. Of the total, 64% of the projects CPMI manages were developed by third parties. Notable third-party developed projects under management include the Asian development Bank in Ortigas, One Corporate Center in Ortigas, the BPI Buendia Center and Pacific Star Building in Makati, and the Philippine National Bank Financial Center in Pasay City. Century’s aim is to enhance the overall quality of life for Filipinos and foreign nationals by providing distinctive, high-quality and attainable properties in the Philippines. Our company focuses on product differentiation through unique real еstatе concepts and unparalleled global brand partnerships that bring distinctive value to the customer. 10 international brand partnerships (Versace Home, Paris Hilton, MISSONIHOME, yoo inspired by Starck, Trump Organization, General Electric, ACCOR, Mitsubishi Corporation, Armani/Casa and Studio Daniel Libeskind). The number of shareholders of the Company of record as of December 31, 2017 was Four Hundred Ninety Seven (497). The number of issued and outstanding common shares of the Company as of December 31, 2017 are Eleven Billion Six Hundred Ninety Nine Million Seven Hundred Twenty Three Thousand Six Hundred Ninety (11,699,723,690). All shares of the Company are common stock.